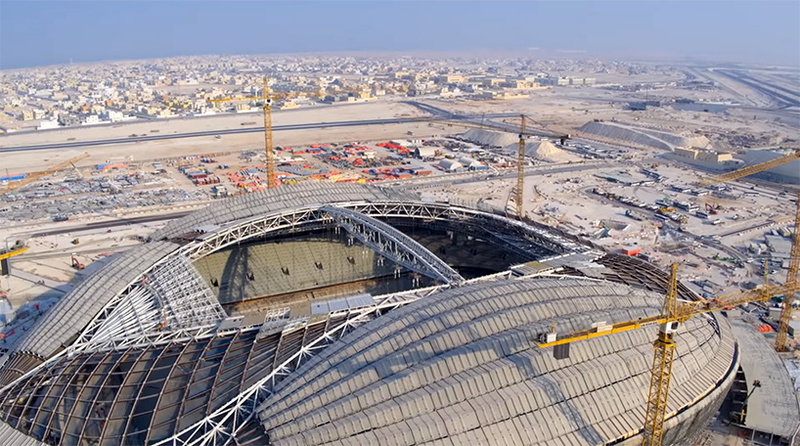 a new video has been released showing the progress of qatar’s al wakrah stadium — the 2022 world cup venue designed by the late zaha hadid. 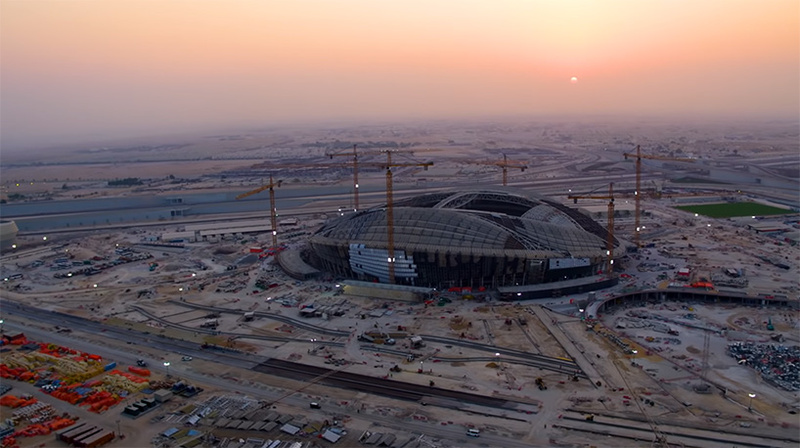 the 40,000 capacity arena, which will host games up to the soccer tournament’s quarter-finals stage, was first unveiled back in 2013. as of october 2018, the structure itself is now complete and work is progressing on the internal finishes, the roof, and the façade. the energy center that will serve the venue has also been built, while the precinct infrastructure and hard landscaping are also advancing. the stadium will also have a retractable roof that will be able to close in approximately 30 minutes. 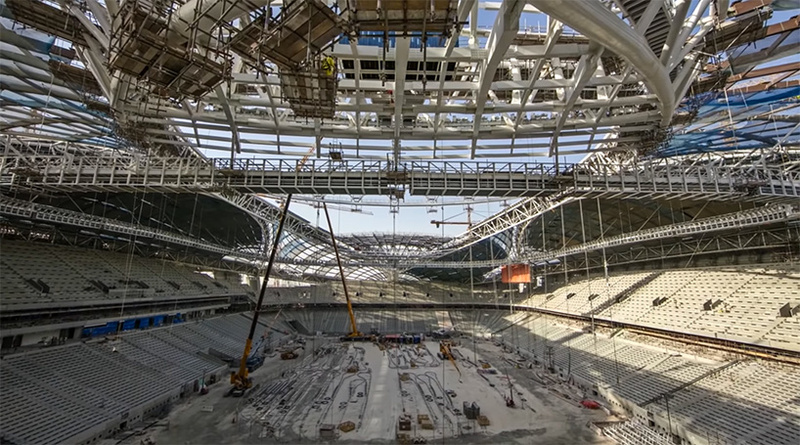 a light sleeve, made of steel wires brought together at an oculus, will also provide shade to the entire pitch and contribute to the efficiency of the cooling system before the match. 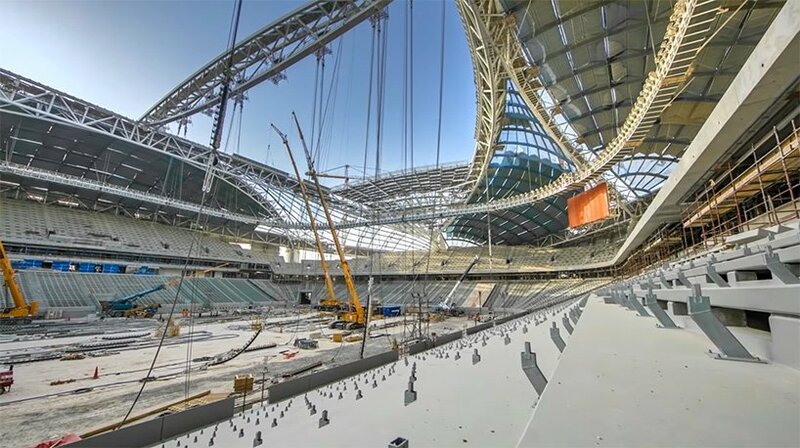 resembling curved hockey sticks, a series of 540-tonne pillars are the main support for the arena’s retractable roof. 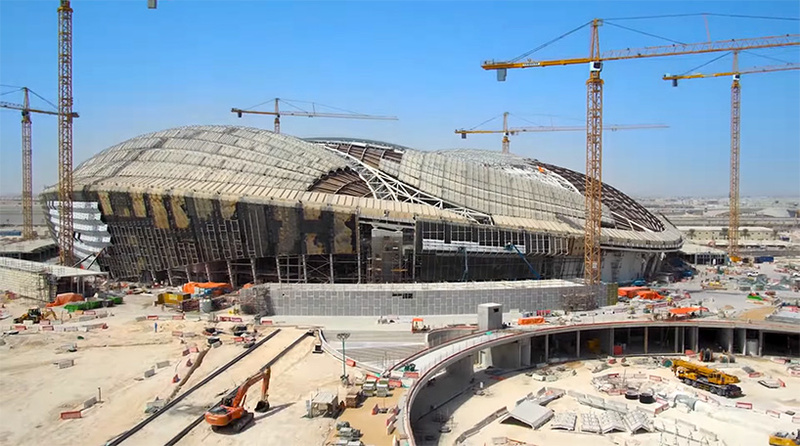 the roof steel elements for the columns originated in china and were fabricated in italy and later shipped to qatar. the venue will also comprise schools, a wedding hall, tennis courts, basketball courts, restaurants, a swimming pool, gyms, and marketplaces — amenities designed to be used by the community for years to come. 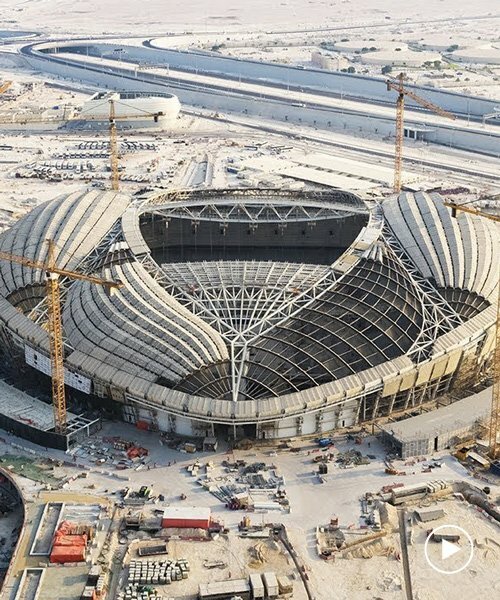 after the tournament, the region’s local team — al wakrah sports club — will stadium the venue as its new home. 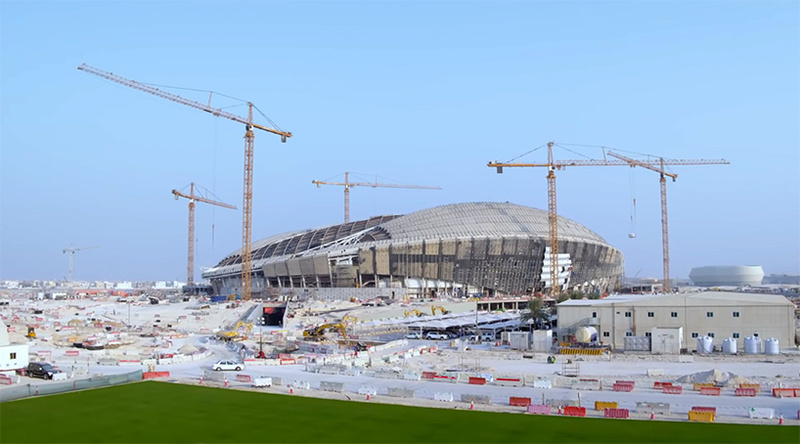 a reduced capacity of 20,000 hopes to ensure an ‘electric atmosphere’ for the club’s qatar stars league matches. 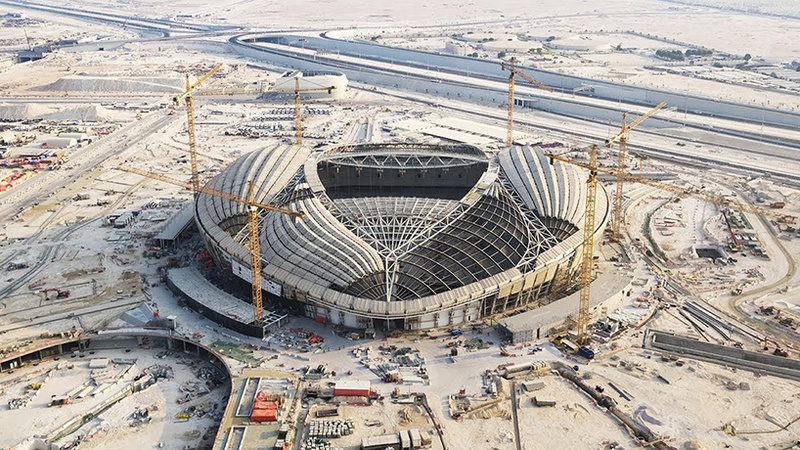 the other 20,000 seats will be donated to football development projects overseas.